Like many others I couldn’t wait to read this 13-years-in-the-making tome from The Book Thief author Markus Zusak. I had the pleasure of hearing Markus talk about the novel as far back at last July at the launch of Storyfest and was even more excited to devour it after he read an excerpt on the night. Long awaited books, like any highly anticipated life event, can often be a let-down, never reaching the heights of the expectation and hype. 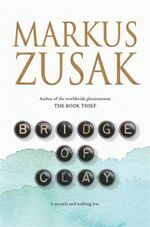 To be totally honest for the first part of the book I struggled and I was worried this was the case with Bridge Of Clay. And for a very strange reason: it felt too perfect. I couldn’t connect with the characters or the emotions. But something magical happened about one third of the way in – I fell in love, with Penny Dunbar, with Achilles the mule, with the fractious Dunbar boys and with the beautifully woven words that seemed to take flight once the opening section of the novel was out of the way. The writing and the story capture a family trying to come to terms with death and working out how to live in the face of it. 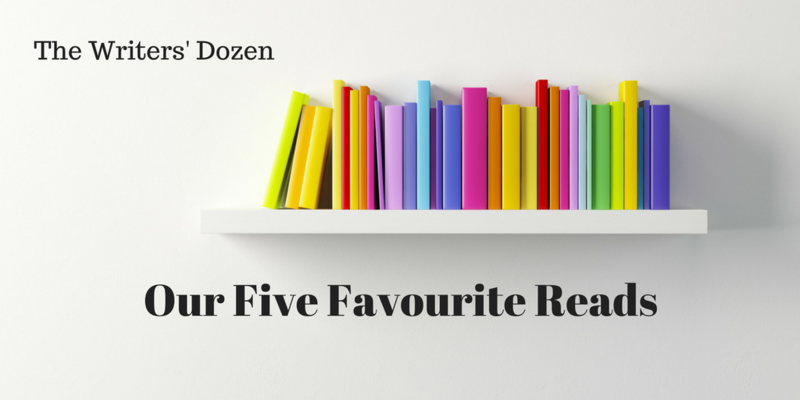 When I considered my response I remembered having the same response to The Book Thief – I started it and put it down a number of times before getting into it and absolutely loving it. Maybe this is the case with all deeply emotional stories: we have to come to grips with a subject matter so deep, told in such a heartfelt way it takes us a while to truly connect. Or maybe it’s just me! In the end I couldn’t tear my eyes from the page and sat sobbing like the saddest creature on earth alone in a bar in Vancouver airport wanting time to stand still so I could finish the damned book before I had to board the plane. And as I finished the last chapter it felt like time truly had stood still. Bridge Of Clay is a story about family, about grief, but above all else, about love. I had the pleasure of reading an advance copy of Natasha Lester’s fourth historical fiction novel on a plane on my way to Paris, and then on arrival as I celebrated my 30th wedding anniversary in the City Of Love. Apart from my husband (it was only fair he come along since he surprised me with the trip) I couldn’t have asked for a better companion. 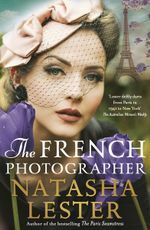 The French Photographer, inspired by the story of Lee Miller a WW2 photographer is a dual narrative that takes readers from Sydney to New York to Paris through the two connected characters, Jessica and D’arcy. I have to confess a slight preference for Jessica’s storyline – the research Natasha used to build this character gave her a depth that kept me wanting to know more about her. I’ve loved each of Natasha’s books but for me this is her best yet and I look forward to her 2020 novel, The Dior Bequest. 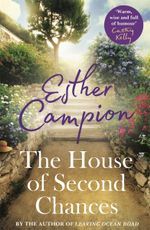 This follow up novel to The House On Ocean Street by Esther Campion is a rambling tale of a family of characters you will want to sit down and share a cuppa and a yarn with. This time the main focus isn’t so much on Ellen, who is moving on from the death of her husband and tentatively building a new relationship with her old sweetheart Gerry, but about her brother Aidan and their mutual friend Collette. Esther takes us by the hand and introduces us to the whole extended family, building up subplots and weaving them together to create a story that has quite a few surprises popping up to keep readers turning the page. If you haven’t read the first book you can still go ahead with this sequel but you’ll have a better idea of the characters and their backstories if you start with Ocean Street. Put on the kettle and put your feet up with this one, and enjoy! After reading Kelly Rimmer’s last novel Before I Let You Go pretty much in a single sitting I was eager to see what she came up with next. And I was definitely not disappointed. This one has a dual narrative like many of Kelly’s stories, but one of the timelines is a historical thread, taking us back to war torn Poland during the Nazi occupation. 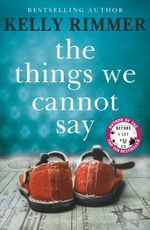 I particularly liked the way the contemporary and historical storylines were intertwined and the issues Kelly explored including raising a child with autism and the devastating impact of war on families and relationships. The strength of the three generations of women in the novel was a huge draw-card and again I couldn’t stop turning the pages until I’d finished. If you love historical fiction, dual timeline sand strong female characters this book is a must read. This highly acclaimed crime fiction novel by debut author Christian White had been sitting in my TBR pile for a while but I wanted to read it before all the hype about it died down. And I wasn’t disappointed. 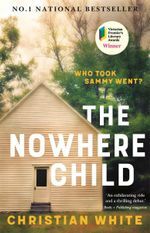 Another double narrative, this one takes us from contemporary Sydney where Kimberley Leamy is confronted by someone claiming to be her brother, to Manson a small town in Kentucky back in the ‘80’s when two year old Sammy Went goes missing from her bedroom, and is never found. You don’t have to be Einstein to join the dots here but the novel unfolds with some interesting twists and is told from numerous viewpoints as we gradually piece the puzzle of Sammy’s disappearance together. The case of the missing child and the way it fractures the family was for me, reminiscent of the Chamberlain family in the wake of Azaria’s disappearance. Spoiler alert: in this case the dingo didn’t take the baby. It was a great read and I look forward to reading more from this very talented author. My favourites so far this year have also been Kelly’s book, plus Where the Crawdads Sing by Delia Owens, a recommendation from Sally Hepworth whose book The Mother-in-law also was a 5 star read for me. There are so many great books out there it makes reading an exciting hobby as well as work for me. I’m reading Crawdads now too Janine. I saw it on Instagram as a Reese Witherspoon bookclub pick and also saw Sally’s recommendation. It’s being made into a film so I hope they do it justice. Only a few chapters in but loving it. So sad! What wonderful jobs we have! I have re-read the first 80 pages of Bridge of Clay and am still confused by some of it – too many brothers and stuff going on. It’s too busy but can appreciate his construction but it loses me. I’ll try again in the upcoming holidays. It’s not the sort of book you can read when there is too much going on!I agree there’s a lot to keep track of. Even thought I struggles at first I was so happy I persevered. A truly great reading experience.